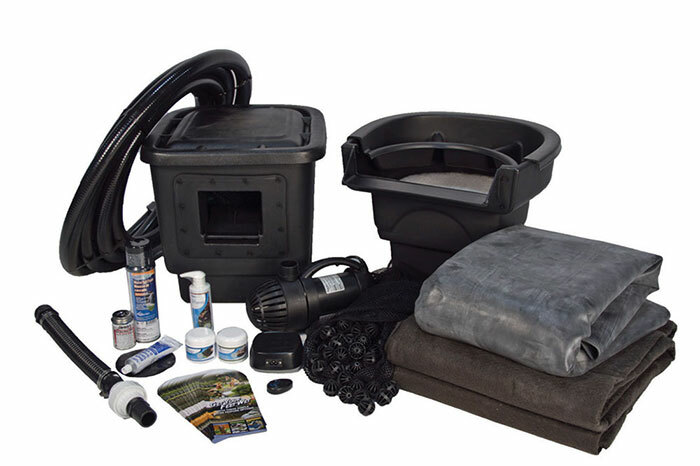 These all-in-one pond kits have everything you need to install an efficient working pond. The various size kits that we carry range from an 8’x11′ pond up to a 21’x26′ pond (2′ depth). Building a pond couldn’t be any easier. Each kit comes with a 20-step installation manual and we will help you along the way.